Where does The Trespasser rank among all the audiobooks you’ve listened to so far? The Trespasser has to be in the top 10. 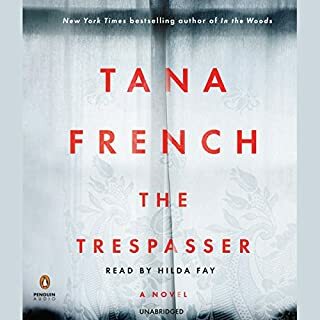 Love Tana French's books and felt this was her best to date. Can't wait for the next one! Will it be another with Antoinette and Stephen or new characters? Felt Hilda Fay did a great job with narration. I thought I knew where the story was going and was enjoying the journey ... but unexpected twists and turns made it even better. Have you listened to any of Hilda Fay’s other performances before? How does this one compare? No other performances to compare. Would definitely listen to her again. No, but I listened to it while driving, washing dishes, exercising, cleaning... didn't want to stop. 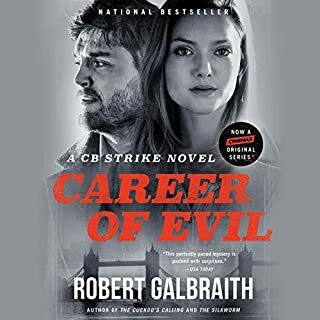 What did you love best about Career of Evil? I loved the development of the characters and the twists and turns the story takes. Yes, but as I listen to it while commuting I was forced to make it last longer. So sad when it ended, knowing it'll be a while before next in series comes out. Can't wait until the next in the series comes out - can't be soon enough! What would have made Memory Man better? The production was absolutely awful as mentioned by many other reviewers. Completely unnecessary sounds during supposedly suspenseful moments and uneven recording were the worst parts for me. It was hard to differentiate between the male characters, but his narration was okay. Female characters were somewhat better. Mercy Falls (Cork O'Connor series) by William Kent Krueger. Great series so far! Better producer. As mentioned above, the production was absolutely awful. Completely unnecessary sounds during supposedly suspenseful moments were distracting and annoying. Uneven recording levels were jarring. It was hard to differentiate between the male characters, but his narration was okay. Female characters were somewhat better. Bewilderment that someone planned and approved the recording as it was sold. The story was fair. Sometimes it's hard not to let a terrible recording color the book, but I don't think I would have loved it even had I read it. 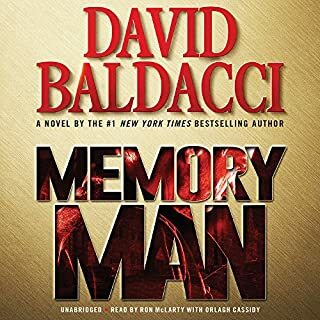 I have another Baldacci in my library but it will be a while before I'm up to giving it a try. One of the best spin offs I have read! If you’ve listened to books by Molly Harper before, how does this one compare? Honestly, I haven't finished it yet. I am having a very hard time getting interested in the storyline and the characters. So far I'd have to say this is my least favorite. I have thoroughly enjoyed Ms Ronconi in Molly Harper's other books, but not this one. There was a mention in the book about the main character having a mix of accents, but that couldn't explain this mess of accents. Ms Ronconi seems to frequently forget the accent(s), then remember for a few minutes and then slip back to her regular voice. I find it jarring and very distracting. I think it would have been much more successful if Ms Harper had written Nola's character with with only one accent for Ms Ronconi to deal with. 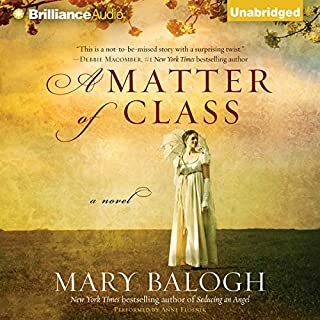 Would you consider the audio edition of A Matter of Class to be better than the print version? Not so much. Though the narrator wasn't awful, she definitely is not one of my favorites. I enjoyed the characters and the twists and turns. What three words best describe Anne Flosnik’s performance? Oh... just didn't much care for her style. It's one of those stories I enjoyed as much, if not more, the second time around. I would definitely listen to other books narrated by Julia Whelan or Kirby Heyborne. I thought they each did an excellent job, especially Ms. Whelan. I will most likely give Gillian Flynn another try once the disappointment from this book has eased. I found the ending (actually the last third of the book) very disappointing. It seemed rushed, improbable, and lacking the detail that might support it. I slightly preferred Ms. Whelan's performance, but both were excellent. Truthfully, by the end of the book I was sick of all the characters. 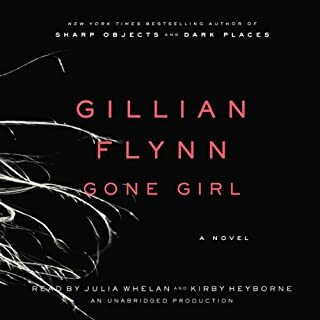 Was Gone Girl worth the listening time? I enjoyed the alternating narration and felt the story wouldn't have worked without it. I enjoyed the first two thirds of the novel much more than the last third. I almost wish I had stopped listening and made up my own ending. Just wasn't a satisfying or believable conclusion.